This past weekend, or this past Thursday if you want to be pedantic, was the start of the NFL pro football season. And with the start of the new season comes the mad scramble for tickets to see the games live. If you’re not a season ticket holder, good tickets can be hard to come by sometimes. In days gone by this would lead you to enlist the services of a ticket scalper. While the tickets were inordinately expensive, they were more often than not the genuine article. In today’s electronic world, tickets have become easier to fake and have led to an increase in ticket scams. For example, a woman in the Charlotte, North Carolina, area recently lost almost $1800 to a craigslist ticket scammer. 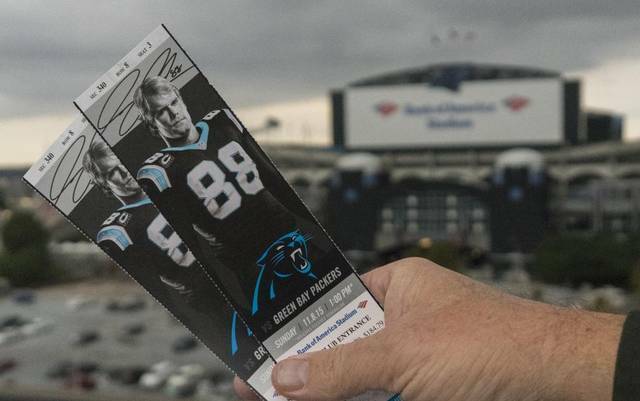 The victim, a real estate agent, wanted tickets to yesterday’s Carolina Panthers home opener against the Dallas Cowboys. She had sent the money to the scammer after communicating with the alleged scammer over the phone and friending him on professional social networks. After she sent the money the scammer stopped taking her calls and never sent the tickets. This particular scammer is said to be so prolific that even the Panthers organization is familiar with him. The victim herself is said to be no stranger to craigslist scams since she deals with them in her day job but sadly fell for one anyway. This is even after the Panthers and many NFL teams limited customers in the way many of them receive electronic or paper tickets. If you’re looking to attend a football game this season, try to avoid places like craigslist for buying tickets. You may think you’re saving money or buying a hard to get ticket, but in the long run, you could end up losing your money and not being able to attend the game. While the prices for NFL tickets may be exorbitant these days, we do recommend that you only buy them from either the team themselves, licensed retailers, or authorized resellers. This way you can assure yourself that you and your family won’t be turned away from the gate on game day.